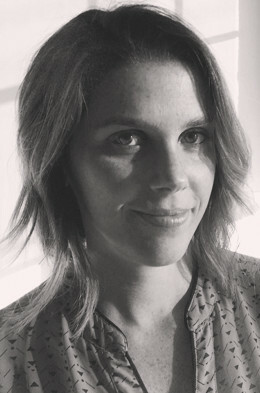 I'm Melissa and I'm the Co-Founder and Creative Director of Long Haul Films, an LA-based production company that makes engaging short and long films to help creative companies tell their stories and connect with their customers. We specialize in documentary-style web video and love to work with game-changing companies with a great story to tell. We're a true creative partner, handling everything from initial idea-gathering through production, post-production and delivery to give you a video asset that tells your story to the world, and can be used on your website, in social media, at events and for fundraising. I left my day job in advertising and founded Long Haul Films in 2010, with my husband, Director of Photography Tom Dowler, because we wanted to make films for and about awesome people doing cool stuff. We were always attracted to working with entrepreneurs, creators and adventurers and while we've experimented with many different types of projects, what we love the most is creating documentary-style content that tells a great story about interesting people and products. Our field lacks diversity, which is why Long Haul Films makes it a huge priority to push forward diverse and under-represented voices in our work. We value working with clients from diverse backgrounds, and we emphasize the same thing behind the camera with our team. We're working on so many interesting projects including a commissioned documentary about human trafficking, a promotional video about a non-profit that's revolutionizing education, a documentary about how Detroit is re-imagining itself after bankruptcy and we're putting the final touches on our first feature-length film, the story of a sick woman whose life was saved by the world's first cardiac alert service dog. If that wasn't, enough we're also producing a doc short about collective grief seen through the prism of a Prince tribute band. Phew! We make uplifting and authentic documentaries about diverse and interesting people that inspire audiences to think differently about the world. The trailer for our feature documentary Letting Go of Adele showcases the kind of stories we love to tell. If we could always be on location with our cameras, we'd be very happy! But sometimes you gotta do that paperwork, file receipts, respond to emails, or generally shuffle papers around your desk. We work with clients all over the country and spend a LOT of time on planes, but we want to prioritize collaborating with more LA brands so we can better connect to our own community (and spend a little less time on planes). I believe that mind-body-spirit connection is the key to creating great creative work, so I would hire an on-set yoga instructor to keep the whole crew flowing in between takes. I wish I stumbled across the Joseph Campbell quote "Follow your bliss and the universe will open doors where there were only walls" when I was much younger. Knowing your higher purpose and loving your work makes for a great life, but it took me a while to figure that out. We really care about getting our clients' films to the widest possible audience, so I'm always interested to learn about new channels and strategies for distribution. We want to work with awesome, innovative, creative companies to produce inspiring and compelling short and long-form videos that can be used to create real connection with customers. Our ideal project is any one that results in a great story that makes the audience feel big feelings, think big thoughts and consider making big changes. Our ideal client is curious, creative and looking to make an impact on the world. We often work with technology companies, artists, entrepreneurs, teachers and musicians. One thing our clients all have in common is believing that anything is possible (we believe that, too). Most short-form web video pieces we produce fall somewhere in the $8k - $20k range. We work on larger projects too, especially when we're making longer-form content or filming in a far-flung location. We prefer to be contacted by carrier pigeon. But if, for whatever reason, you can't make that work, you can email us - info@longhaulfilms.com - and tell us a little about what you have in mind.